The end of January is the last chance to visit Bangkok Art Biennale in Thailand, which runs until 3 February 2019. Featuring works by 75 artists in 20 locations, the city-wide exhibition titled Beyond Bliss is the first edition of the new Biennale. The inaugural Bangkok Art Biennale is curated by artistic director Apinan Poshyananda, and curatorial team consisting of Luckana Kunavichayanont, Patrick D. Flores, Sansern Milindasuta, and Adele Tan. The theme Beyond Bliss looks at political, philosophical and social paradox and at what happiness means in the insecure society we live in. Many of the works in the Biennale look critically at manifestations of injustice and unpredictability in the world today; gender violence, exploitation, migration and border control. Other works explore the coexisting states of hyper-reality and heterotopia symptomatic of late capitalist culture. As well as showcasing contemporary art from around the world (see full artist list here), the Biennale also explicitly foregrounds the work of Thai artists and brings events and tensions unfolding in Thailand to the international stage. Poshyananda and the Biennale organisers deliberately tried to create a space for free expression in response to government censorship of the arts. Sornchai Phongsa, Muslimah Collective and Chumpon Apisuk are among Thai artists in the Biennale whose work has political resonance. An number of Sedition artists are exhibiting at the Biennale. AES+F are exhibiting in Thailand for the first time. Their three channel video work Inverso Mundus can be seen until 1 February at the BAB Box venue. 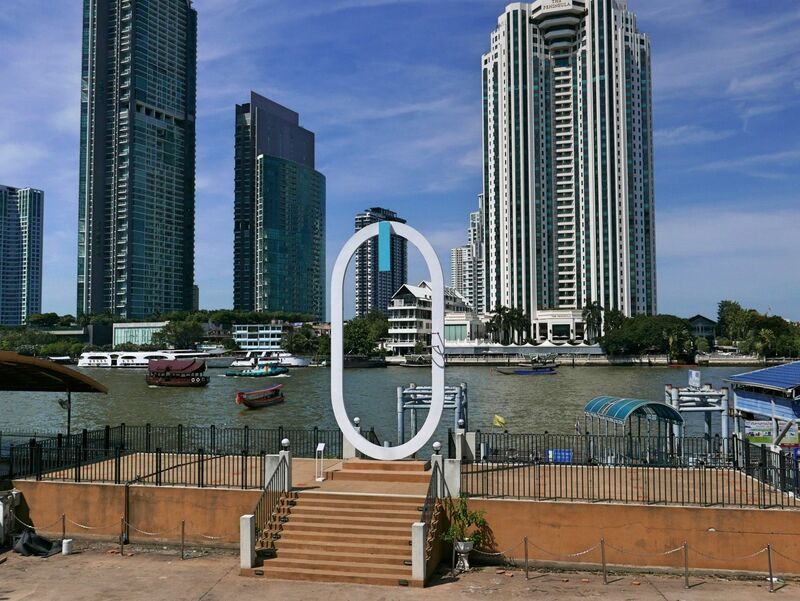 Francesco Clemente’s series of Shadow watercolours and miniatures are part of the group exhibition at ONE Bangkok, while Elmgreen and Dragset’s sculpture Zero can be seen on the bank of the Chao Phraya River. The Bangkok Art Biennale is at One Bangkok, Lumphini, Pathum Wan, Bangkok 10330, Thailand and at 20 locations around Bangkok. Top image: ELMGREEN & DRAGSET’s Zero (2018), photo courtesy of HG Masters for ArtAsiaPacific.